Situated within the New Forest National Park approx halfway between Southampton (10miles) & Salisbury (9 miles)on the A36. 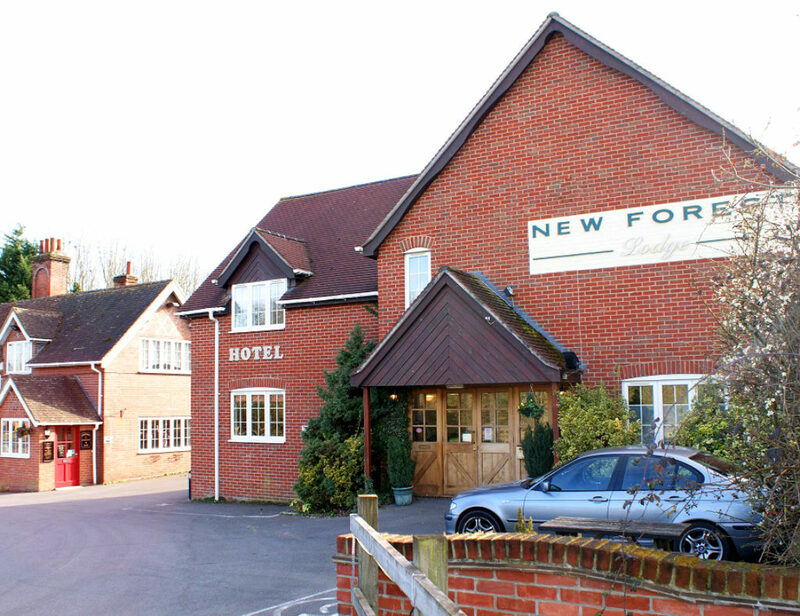 The New Forest Lodge Hotel makes a comfortable base whether your visit is for business or pleasure. 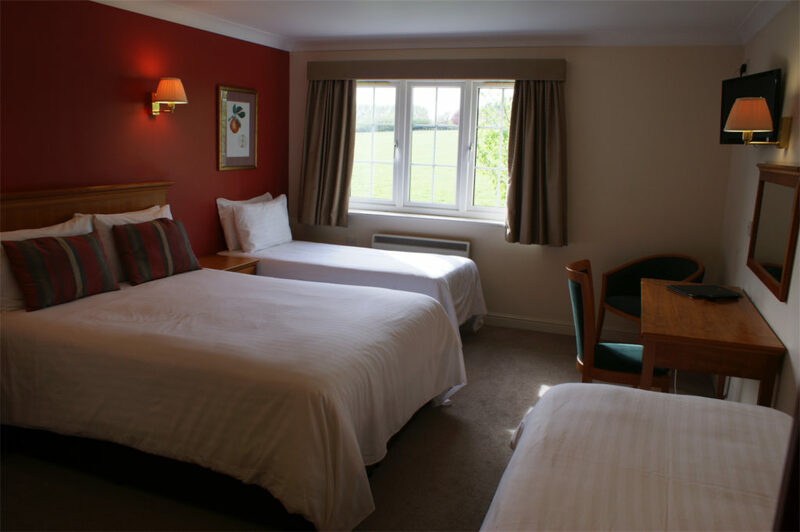 Our spacious rooms are all en-suite and equipped to a high standard with free Wi Fi Internet access. New Forest Lodge Hotel is just over a mile from the Northern edge of the New Forest with it’s 93000 acres of heath and woodland famous for its free roaming ponies, cattle, donkeys and even the occasional pig. The Hotel has many places of historical interest nearby including, Salisbury’s ancient City centre with its magnificent Cathedral, the world heritage site at Stonehenge, Romsey Abbey and Broadlands the former home of Lord Mountbatten. Paultons Park the family theme park featuring the new Peppa Pig world attraction is just 6 miles away, and Southampton offers all the amenities of a modern City with shopping at West Quay, cinemas, and vibrant Restaurants and Bars, as well as being a centre for sailing and cruising. There are also several Golf courses in the area including Hamptworth Golf & Country Club. New Forest Lodge has fourteen modern, spacious well appointed rooms, furnished with either two single beds or a king-size bed, extra beds can be added for families. All rooms have en-suite bathrooms with bath and power showers, hospitality tray, hair dryer, trouser press, iron, direct dial telephones, flat screen TVs, and most have view over open countryside. We have a special room for disabled visitors with wheelchair access. Free WiFi access is available throughout the Lodge. All our rooms are spacious and equipped to the same high standards, twin bedded rooms can have a third single bed added for families (accommodating up to two adults and one child or 3 adults). 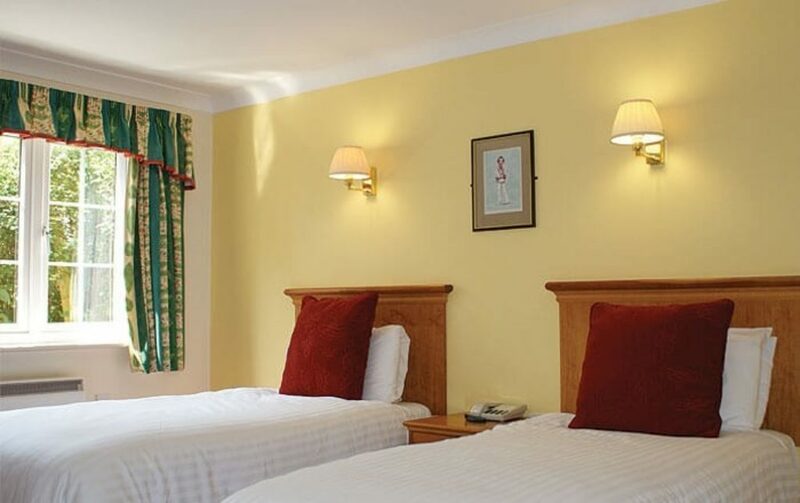 All our rooms are spacious and equipped to the same high standards, double rooms have a generous king size bed and can have up to 2 extra single beds added for families. What a stunning lodge. Stayed their for a weekend and didn't want to leave. The staff are so friendly and helpful and give you a more personal feel to your stay. They show you to your room and serve a lovely breakfast. The rooms are so clean and our room overlooked a lovely field of cows. Just a short walk away from the local village and the new forest.My favourite lodge ever much better than all these commercial hotels a lovely homely feel to it. The Indian restaurant next door is also fabulous and serves one of the best currys that i have ever tasted. Definately worth a look. The room was unusually spacious for a single, simply furnished, with very comfortable bed and spotless linen. Although on a busy main road, the external soundproofing was excellent (though there was a little noise from the corridor and adjacent rooms). Breakfast was made with good quality produce, well cooked. "Great little hotel at a good price"
My boyfriend and I stayed here while on a trip to the New Forest. I booked it after reading all of the positive reviews on another web site, and I was happy with my choice. While not in the New Forest itself, it is right on the perimeter. We went to Southampton for dinner and a movie and it was well located for that short trip. The room we stayed in was large and clean and even had a wall mounted plasma TV (not expecting that!). There is also an Indian restaurant next door which is handy, although we did not try it. The hotel is on a highway but our room overlooked some fields rather than the road. I would stay here again. "Good value, good spot, good people"
The Lodge is a fairly modern building off a busy-ish rural A road not far from Salisbury and moments (setting off in the direction behind the hotel) from rural bliss and the ponies of the New Forest. Easy to get to after a day in Salisbury or Stonehenge. Very welcoming hosts and a decent sized room, en suite, with good bathroom facilities (including a powerful shower, always nice to find at a B&B.) Unfortunately a power cut meant we didn't get a cooked breakfast (this was, I should add, taken off the bill without our having to ask) so I can't comment there, but the breakfast facilities were clean and comfortable. There is an Indian restaurant sharing the parking lot that looks promising though we didn't eat there (but rather at the wonderful Haunch of Venison in Salisbury). All told, a good place to know about en route through the south of England. The member of staff on the desk was very helpful as I had inadvertantly booked the wrong date, he cancelled the other date and booked us in without any problem. "Very comfortable, clean and welcoming"
Our family room had a lovely big on-suite bathroom with bath and shower, flat screen tv and plenty of room to manouvre.